Discussion in 'Biomechanics, Sports and Foot orthoses' started by Asher, Nov 27, 2007. I’ve just been to Bootcamp IV and read Kevin Kirby’s section on the midfoot in his Vol 2. Motion about the medial / lateral axis is dorsiflexion and plantarflexion of the forefoot on the rearfoot and is reflected in how much we see the MLA flatten, or not, at stance vs nwb and gives us our navicular drop measurement (and whether there is an anterior cavus). Motion about the superior / inferior axis is adduction and abduction of the forefoot on the rearfoot and is what we see as how much the FF abducts on the RF (ie: the too many toes sign) and gives us our navicular drift measurement. Motion about the anterior / posterior axis is inversion and eversion of the forefoot on the rearfoot which is basically what we see as the FF to RF relationship eg: FF supinatus / varus (and how reducible it is); FF valgus and; plantarflexed 1st ray (examination of the midfoot as a collection of joints includes the first ray). Have I got this right?? Have I missed anything?? Thanks in advance for your help. I just love it when people pay attention to when I talk!!!! .... only wish the students could do it this well!! Effectively the old model of the MTJ is dead and buried (but some still have it on life support). Despite that some seem hell bent on trying to find axes of motion at the joint. What Kevin talked about at PFOLA and I talked about at Boot Camp was Chris Nesters proposed model of considering MTJ motion about the 3 x,y,z co-ordinate system .... which are the axes you alluded to above. If you take Kevin's concepts of SALRE and apply that to the MTJ, then it starts to make a lot more sense .... which is exactly what you are doing .... except you have taken it a bit further by bring in the things like navicular drop and drift. The reason that this is all probably important is the matching up of foot 'stiffness' to orthotic shell 'stiffness'. Craig, I have just read through the midtarsal joint thread and Gib flexibility thread. They focus on the midtarsal joint specifically. At Bootcamp my impression was that we were talking about Midfoot mechanics rather than purely Midtarsal joint mechanics, the midfoot consisting of the joints from the midtarsal joint to the tarsometatarsoal joints (or is it to the MPJs) and those articulations inbetween. Is that right? I believe you are very much on the right track here. Chris Nester and I spoke about establishing this three reference axis convention for the midtarsal joint (MTJ) one evening over a few beers while he was visiting my home in Sacramento in April 2001 to lecture at a conference here. Chris and colleagues then wrote the definitive papers on this a few years later suggesting that three reference axes of the MTJ should be used: Medial-Lateral MTJ Axis, Anterior-Posterior MTJ Axis and the Vertical MTJ Axis, which are the conventions I used in my last two PFOLA lectures on the MTJ. Nester CJ, Findlow A, Bowker P: Scientific approach to the axis of rotation of the midtarsal joint. JAPMA, 91(2):68-73, 2001. Nester C, Bowker P, Bowden P: Kinematics of the midtarsal joint during standing leg rotation. JAPMA, 92:77-89, 2002. Nester CJ, Findlow AH: Clinical and experimental models of the midtarsal joint. Proposed terms of reference and associated terminology. JAPMA, 96:24-31, 2006. It must be remembered that these 3 reference axes of the MTJ are not true axes of rotation of the MTJ but are, rather, imaginary axes about which not only the motions of the MTJ but also the moments acting across the MTJ may be more accurately described. The MTJ may have only one true instantaneous axis of rotation at any one time during its motion. This instantaneous axis of motion has multiple possible spatial locations depending not only on the internal morphology of the foot but also the internal forces and external forces generated across the MTJ. In other words, the MTJ is not a highly constrained joint, as is the subtalar joint, and may be moved in nearly any direction depending on how forces are acting across it. The subtalar joint, on the other hand, is a highly constrained joint, that will move along nearly the same joint axis regardless of how direction and point of application of the external forces acting across it. In my lecture at PFOLA a few weeks ago, as Craig mentioned, I discussed the concepts of MTJ dorsiflexion stiffness and how it can be used, along with the concept of rotational equilibrium across the Medial-Lateral MTJ axis, to describe the load-deformation characteristics of longitudinal arch of the foot. Since I agree with Craig that you are certainly ahead of the game here in regard to your understanding of these important concepts, Rebecca, I am including my lecture notes from my PFOLA lecture from a few weeks ago to better acquaint you with my current MTJ theory and MTJ terminology recommendations. 	What forces and moments prevent the longitudinal arch from flattening during weightbearing activities? What Tensile Load-Bearing Elements Help Prevent Arch Flattening? 	When magnitude of rearfoot plantarflexion moments…. 	Exactly equals the magnitude of rearfoot dorsiflexion moments…..
	When the magnitude of forefoot dorsiflexion moments…. 	Exactly equals the magnitude of forefoot plantarflexion moments…. How Does Forefoot Dorsiflexion Stiffness Affect Gait Function? 	During clinical exam for “ankle joint dorsiflexion” in feet with different forefoot dorsiflexion stiffness…..
	Is standard measurement technique for ankle joint dorsiflexion measuring dorsiflexion of talus to tibia or is it actually measuring forefoot dorsiflexion relative to rearfoot? 	How can midtarsal joint “lock” when the MTJ is spring-like in nature and the MTJ progressively flattens as forefoot loads are increased? There are assumptions in a lot of modelling techniques. There is an assumption in a lot of the MTJ modelling, that the rest of the midfoot moves as one unit, when in reality we know that is not the case. Chris Nester has documented just how much the different bones move relative to each other, so it can be better modelled which bones and joints should be considered seperately and which ones can be lumped together to function as a 'unit'. I understand that is will be a focus of the i-FAB meeting next year. Take Kevin's STJ equilibrium model - it makes sense; certainly has practical applications, but there are assumptions that underpin the model. For eg is it really the STJ? (there is likely to be some movement of the talus in the ankle mortise contributing); it also assumes that the STJ functions like an angled hinge (when we know it does not really as it functions more like a bunch of helical axes); etc .... but if we accept and acknowledge the assumptions, then it helps understand function and the practical clinical applications. There are assumptions in a lot of modelly techniques. There is an assumption in a lot of the MTJ modelling, that the rest of the midfoot moves as one unit, when in reality we know that is not the case. Chris Nester has documented just how much the different bones move relative to each other, so it can be better modelled which bones and joints should be considered seperately and which ones can be lumped together to function as a 'unit'. Gotcha Craig. And Kevin I've read your lecture notes and loved them. I see that Nester et al have modelled the MTJ. But really the other midfoot joints are subject to the same sort forces. For example, ground reaction force doesn't just exert a forefoot dorsiflexion moment at the MTJ, it is exerted on all of the midfoot joints, trying to flatten the arch. And similar internal tensile forces (eg: plantarfascia, plantar ligaments) are exerting a forefoot plantarflexion moment to the MTJ, and all of the midfoot joints, attempting to maintain equilibrium and therefore the arch height. Very nicely done. It encourages me to see you being able to grasp on to this terminology so well since I believe that having a better understanding of the mechanics of the midfoot joints and midtarsal joint will greatly enhance our ability to discuss what is happening in the foot during weightbearing activities. Regarding my writing and lecturing on these subjects, I had told Chris Nester back 6 years ago when we were first discussing these concepts, that I would write the article titled "Rotational Equilibrium Across the MTJ Reference Axes" to go along with his paper on the subject. Unfortunately, I still haven't gotten around to it. 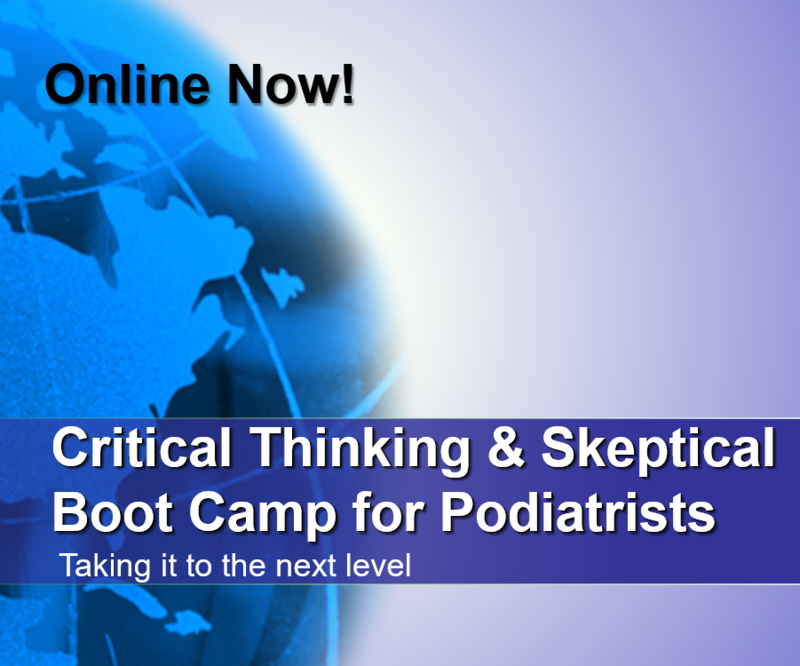 Maybe I'm just spending too much time on Podiatry Arena? Now, Rebecca, to test your knowledge....three subjects are being examined during relaxed bipedal standing, the first one with a pes planus, the second one with a pes cavus and the third one with a normal arch height . Given that all three subjects are standing still, without the foot moving, which of these three feet, if any, would not be in rotational equilibrium at the midtarsal joint? I think they would all be in rotational equilibrium. Whether or not it is pathological is a different matter. To my way of thinking, the pes planus is likely to exhibit pathology at some point due to the dorsal interosseus compression at the midfoot joints and delayed heel off. The normal arch height guy might be fine but what if he has an anterior cavus which is partly or fully reducible so that the rearfoot and forefoot end up on the same plane when standing, but there would be significant dorsal interosseus compression moments as a result. And the pes cavus would have an early heel off which is good for efficient forwards progression unless its too early (don't know how this is defined exactly) in which case because the midfoot stiffness is comparatively high, there is a big forefoot dorsiflexion moment which doesn't dorsiflex the forefoot but puts the bony and soft tissue structures of the forefoot under a lot of load (probably not the right way to say it) and could lead to pathology eg: neuroma, hyperkeratosis, metatarsal stress fracture. True, all three types of feet, planus, normal and cavus, are in rotational equilibrium, since their longitudinal arches are static during relaxed bipedal stance, and not accelerating into a higher or lower arched position. If we just consider the passive tensile load-bearing elements of the plantar arch in these three feet (i.e. plantar aponeurosis and plantar ligaments), which of these three feet, planus, normal or cavus would have the greatest magnitude of tensile forces within the tensile load-bearing elements of the plantar arch, all other factors being equal? And most importantly, why do these tensile forces change with a change in arch height of the foot? Hint. I have had a look at your truss and tie picture (re: your hint) Kevin. The mere sight of the word trigonometry and all those numbers makes my brain shut down I'm sorry to say. It seems like common sense that there will be more strain in the plantarfascia (and other ligaments trying to maintain the height of the arch) of a foot with a planus arch contour compared to a higher arch contour. So there will be most tensile forces in the planus foot and least in a cavus foot. To be honest, I came to this conclusion by picturing a person with rollerskates on their feet and hands with their bum in the air. :wacko: There will be a hell of a lot more tensile force in the tie that joins their feet and hands in the person with their feet and hands far apart, to keep the bum in the air, compared to when they are close together. Sorry, I haven't done trig and I realise there is a more appropriate way to work this out. But that's all Ive got. Kevin, thanks. I had to reread every sentence twice and had to use my hands to replicate the kinematics involved but excellent! "Is standard measurement technique for ankle joint dorsiflexion measuring dorsiflexion of talus to tibia or is it actually measuring forefoot dorsiflexion relative to rearfoot?" I thought it was measuring both, the net result. And a general question, can the shape of the articulations be a factor in stiffness, assuming there is the potential for difference in articulation shape between people. I like your honesty. Trigonemetry allows us to do a nice mathematical proof of the concept that shows that decreased arch height will increase the tension within the plantar fascia and plantar ligaments during weightbearing activities when compared to a foot with increased longitudinal arch height. Architects and builders of cathedrals from hundreds of years ago, even though they may not have been as familiar with modern mathetical concepts as we are today, understood that the elements of a domed or roofed structure will exert a "lateral thrust" on the supporting walls of that structure. 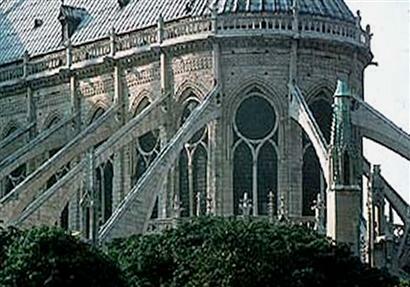 This is the reason that flying buttresses were developed, before steel reinforcement inside the wall of structures was developed, to counteract this lateral thrust from the outward forces from the angled dome or roof onto the supporting walls. In much the same way, if you think that a lower arched foot has more "lateral thrust" than does a higher arched foot, then in order to compensate for this increased "arch lowering force" in a lower arched foot, the plantar fascia and plantar ligaments will need to exert more tensile forces to resist that longitudinal arch deformation. You analogy of the skater is another good example of how this might be explained without using mathematics or vector analysis. You have a very good mechanical mind, Rebecca. The dorsal-plantar thickness of the midtarsal-midfoot articulations would be one factor that would affect forefoot dorsiflexion stiffness for the medial-lateral MTJ axis. Increased dorsal-plantar thickness of the midtarsal-midfoot joints would tend to increase forefoot dorsiflexion stiffness. Does the CoP in relation to AJ axis differ in length in a anterior-posterior direction between cavus, 'normal' and planus feet of similar size? The center of pressure (CoP) will tend to more anteriorly located in the foot with increased forefoot dorsiflexion stiffness due to its increased internal resistance to forefoot dorsiflexion, all other factors being equal. From the hint you gave me, it seems that as more strain is applied to a ligament, the stiffer it becomes and the less it yields. That's because the stress / strain curve for ligaments and tendons is non-linear. So as the planus and cavus feet are standing and an extra load is applied, the ligaments that are strained less (high arched foot) will respond to that load by yielding more and the ligaments that are under more strain (low arched foot) will yield less. So the answer is the high arched foot will show more arch height reduction. That is unless the extra load puts all the ligaments of the low arched foot into the "yield and failure region" of the stress/strain curve and it fails, and the arch will show more collapse of the arch. Would it be fair to say that the ligements of the foot when non-weightbearing are in the "toe-in region" of the stress/strain curve, when weightbearing they are in the "linear region" Kevin? You would be right if the stress-strain curve of the lower arched foot had become significantly stiffer due to increased magnitude of tension in the ligaments, then this might be the case. However, due to the much greater increase in tensile force in the plantar ligaments and fascia in the low arched foot with the increase in load, one would actually expect the lower arched foot to be less stiff (i.e. more compliant) than the higher arched foot given the same increase in loading force. In other words, since the increase in tensile force in the plantar ligaments/fascia would be much less in the higher arched foot with the 100 N increase in vertical load, then the increase in length (i.e. strain) would be much less in the plantar ligament/fascia in this foot and, therefore, the higher arched foot would undergo less deformation. Another way of saying this is that the higher arched foot will be a "stiffer spring" because of the mechanical arrangement of the human foot. By the way, good job so far! However, due to the much greater increase in tensile force in the plantar ligaments and fascia in the low arched foot with the increase in load, one would actually expect the lower arched foot to be less stiff (i.e. more compliant) than the higher arched foot given the same increase in loading force. In other words, since the increase in tensile force in the plantar ligaments/fascia would be much less in the higher arched foot with the 100 N increase in vertical load, then the increase in length (i.e. strain) would be much less in the plantar ligament/fascia in this foot and, therefore, the higher arched foot would undergo less deformation. I'm a bit lost Kevin. Is this example of a higher arched foot compared to a lower arched foot just as much about bony morphology of the arch (this 'lateral thrust' concept) as it is about how ligaments respond to load? Another way of saying this is that the higher arched foot will be a "stiffer spring" because of the mechanical arrangement of the human foot. The "stiffer spring" in a cavus foot makes sense to me only because its what I see clinically, I'm just not sure why, which is what you have tried to explain to me above. Thanks for taking the time to help me understand! Which of the two feet, the low arched foot or high arched foot, would you expect to have a greater increase in magnitude of tensile forces within the plantar ligaments and plantar fascia when the 100 N vertical loading force is applied to it? Why? Try playing with the Bridge Designer. The lower arch profile would have the greatest overall tensile forces within the plantarfascia. Why? Because the arch has elongated more in the planus foot than the cavus foot and all other things being equal, the plantarfascia etc will have more tension in it. "Tensile force within plantar fascia, plantar ligaments of MTJ/midfoot and plantar intrinsic muscles all cause a rearfoot dorsiflexion moment ..."
then, at any instant the tensile forces with the plantar fascia, plantar ligaments of MTJ/midfoot and plantar intrinsic muscles are the same otherwise there would be translation of those structures ie. the tensile force 'supplied' by same producing rearfoot dorsiflexory moments equals, in magnitude, the tensile force 'supplied' by same producing forefoot plantarflexory moments. Therefore, when the "posterior tibial, peroneus longus, FHL and FDL tendons" 'apply' their forces resulting in forefoot plantarflexion moments that would mean than at that time the forefoot plantarflexory moments are greater, in magnitude, than the rearfoot dorsiflexion moments, which would require the forefoot dorsiflexion moments being greater than the rearfoot plantarflexion moments. In relation to GRFFF vs. (GRFRF + achilles tendon force + tibial loading force), is this explained by the longer moment arm of the forefoot (relating to GRFFF)? Also are the posterior tibial, peroneus longus, FHL and FDL mm's are only 'active' when the CoP moves anteriorly, as the GRFFF gets greater? "The reason that this is all probably important is the matching up of foot 'stiffness' to orthotic shell 'stiffness' "
...Or if you decide that the midfoot requires mobilisation to increase flexibility??? All these words are confusing me. As far as I know, when we talk about standing still, there are forces which are trying to flatten the arch (rearfoot plantarflexion and forefoot dorsiflexion) and they are tension in the achilles tendon, the load of body weight coming down through the tibia and ground reaction force on the forefoot, and forces which are trying to maintain the height of the arch (rearfoot dorsiflexion and forefoot plantarflexion) like tension in the plantarfascia, tension and activation of intrinsic musculature, posterior tibial, peroneus longus, FHL and FDL. To be standing still, they must all be the same (rotational equilibrium) otherwise we would be moving. The forefoot dorsiflexion moments and rearfoot plantarflexion moments should increase and decrease along with each other while the foot is plantigrade since the forefoot rotational forces will affect the rearfoot rotational forces due to both the forefoot and rearfoot sharing common joint compression forces, common ligament tensile forces and common intrinsic muscle tensile forces. The muscle activity of the posterior tibial, peroneus longus, flexor hallucis longus and flexor digitorum longus will tend to, by central nervous system control, increase as the CoP moves more anteriorly in order to increase the forefoot dorsiflexion stiffness, increase ankle joint plantarflexion moment and increase digital plantarflexion moments. Glad to see you are getting your head around these concepts. Hope this illustration helps. What you have written above is perfect....now it is time for you to teach others. As one of those followers i appreciate your and Rebecca's discussion. This thread, I imagine, will find itself on the "Threads for students". 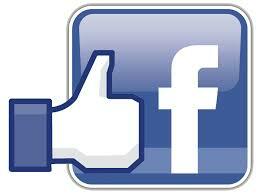 I've enjoyed "following" immensely, may there be many more!, thanks Kevin and Rebecca. OK Kevin, thank you for your encouragement. The job of the midfoot is to work like a spring in the sagittal plane to help the body to move forward over the plantargrade foot. The plantar ligaments/fascia in the lower arched foot will not only have increased resting tensile force in order to maintain that foot in the lower arched morphology when compared to a higher arched foot, but will also experience a much larger increase in tensile force when the vertical loading force on the foot is increased on a lower arched foot than when compared to a higher arched foot. Increased tensile force will cause increased elongation of the plantar ligaments and plantar fascia. This mechanical phenomenon explains the common clinical finding of increased longitudinal arch compliance (i.e. decreased stiffness) in the lower arched foot and decreased longitudinal arch compliance (i.e. increased stiffness) in the higher arched foot. The lower arched foot is subject to more "arch flattening forces". The lower the arch becomes, the more the "arch flattening forces" increase and the flatter the arch becomes. It really doesn't stand a chance. It is a really inefficient spring ie: more compliant (less stiff) to the arch flattening forces. A normal arched foot is subject to less "arch flattening forces" so it is much easier to maintain the arch height. It is less compliant to the arch flattening forces so it can be described as a stiffer spring, which is a more effective spring to use the forces applied to the plantargrade foot to help the body move forward over that foot. In a cavus foot, this can be taken further in the same manner, but Kevin, is a cavus foot's midfoot really an even more efficient spring because its even stiffer, or does it get to a point where its too stiff, the bones can't move as much to use the forces applied to help the body progress forward over the plantargrade foot ie: really really stiff spring, in fact, not able to work much like a spring at all? Or is the cavus foot the most effective spring of all because it is stiffer? I think probably not because if it was most efficient for the midfoot to be stiff, it would all be one bone with no movement. It has to be stiff to some degree but still springy to some degree, hence "stiff spring". Somebody tell me if they disagree. For a cavus foot, we need to make sure we are not making things stiffer in the midfoot region with our interventions. Eg: not pushing up too much under arch. Although the MTJ oblique axis and longitudinal axis theory is deceased, I expect the same still holds true: STJ supination reduces MJT range of motion and STJ pronation increases MTJ range of motion. So we can still affect MTJ (in fact, midfoot) stiffness by holding the STJ in a more supinated or pronated position. ... and work about the anterior-posterior and vertical axes? Again excellent posts, am looking forward to Kevin Kirby's response when he arises. Yes, thanks Mark! I meant in regard to the medial/lateral axis, I haven't started thinking about the other axes yet. To my way of thinking, the midfoot of a low arched foot is too compliant (less stiff) to "arch flattening forces". So by using stiff orthotic materials and contouring the midfoot well, we can stiffen the midfoot section of the foot / orthotic unit so that it deforms less to the "arch flattening forces". Therefore, it is better able to work as a spring. In a cavus foot, the midfoot is too stiff. If a cavus foot requires an orthotic, one thing we probably don't want to do is to increase the stiffness in the midfoot area. I agree with David that mobilisations would be indicated here - I haven't thought of that before because I haven't been thinking "stiffness of spring" concept. Having said that, I often get an orthotic to contour the arch pretty well in the medial and lateral arch of a cavus foot in order to get a bit of load of the forefoot which is usually callused / painful. So not sure how that fits in. Really just thinking out load ... happy to be refuted. Rebecca: Let me try to explain this another way. The lower arched foot will be a more compliant, or a less stiff, spring. In other words, it's load vs deformation curve will have a more shallow slope. For a given increase in vertical load on the foot, the longitudinal arch will tend to deform more due to the increased plantar fascial and plantar ligament tensile forces which, in turn, cause increased plantar fascial and plantar ligament elongation. It is, however, not a more ineffecient spring. Efficiency really means something very different. This type of foot could be a very efficient at certain activities that demanded increased deformation of the foot under load, such as in distance running where it may be desirable to have the foot deform more with each foot strike to decrease the loads on the rest of the lower extremity. I would basically agree with the above. The passive stiffness of the longitudinal arch of the foot (i.e. that stiffness determined by the geometry, elastic modulus, shape and thickness of the passive elements of the foot structure such as bone, cartilage, ligament and fascia) will provide the minimum stiffness available for each foot's longitudinal arch. However, the actively mediated stiffness of the longitudinal arch of the foot (i.e. that stiffness determined by the muscular contractile forces), will allow the longitudinal arch stiffness to be varied with increased muscular contractile activity to meet the mechanical demands of the activity the individual is participating in at the time. For example, if the muscular contractile forces are at zero, then the foot will have its minimum stiffness that will be equal to its passive stiffness. However, as the contractile activity of the plantar intrinsics, peroneus longus, posterior tibial, flexor digitorum longus and flexor hallucis longus are increased, the overall stiffness of the arch will increase past the level of passive stiffness to an increased stiffness that is actively mediated by central nervous system (CNS) control of muscle activity. This is not too dissimilar from the adjustable shock absorbing systems in some vehicles where the driver may increase the stiffness of the shocks for better handling in some conditions and then increase the compliance of the shocks for better handling in other conditions. Remote control shock absorbers. The passive stiffness of the low arched foot is less than the passive stiffness of the normal arched foot or high arched foot. However, that is not to say that the actively increasing the stiffness of the low arched foot will always cause less arch stiffness than the passive stiffness of the normal arched foot. Muscle contractile activity may stiffen the longitudinal arch significantly to make it much more resistant to deformation under load than what would be possible if only it's passive stiffness is affecting the load/deformation characteristics of the longitudinal arch. Separating passive stiffness and actively mediated stiffness makes heaps of sense. If a patient is toeing off through the lateral forefoot, I would want to put a padding under the 4th/5th met heads in order to encourage toeoff more medially. On one hand, this seems a counterintuitive thing to do as the padding is lateral to the STJ axis and will produce a pronatory moment at the STJ. On the other hand, I think that it would be fine if the lateral midfoot is not too stiff because the degree to which I dorsiflex the lateral metatarsals would be absorbed by the joints closest to the intervention - the lateral midfoot joints, and not be transferred to the STJ. I think my second hand is right but I would appreciate some confirmation. This is the reason for the lateral forefoot elevation test is it not? If I wanted to do a feehery or fettig skive or a cuboid pad, all lateral to the STJ axis but much closer to the STJ, it would be important to test if some elevation in these areas doesn't result in excess pronation - does anybody do this is or is it not as important as I think. Thanks for your help ... anyone ... I don't want to wear Kevin's patience too thin. This is a very different subject, and don't want to go into a lot of detail on it in this thread so you might want to start a new thread. You must remember, that during the late midstance and propulsion phases of walking gait, that if the center of pressure (CoP) is lateral to the subtalar joint (STJ) axis, this does not necessarily mean that there is a net STJ pronation moment occurring. STJ moments do not just occur from ground reaction force and the positioning of CoP relative to the STJ axis. STJ moments also arise from muscular forces that cross the STJ. The gastrocnemius-soleus-achilles tendon (GSAT) complex, being medial to the STJ axis in nearly all feet, exerts a strong STJ supination moment in late midstance and propulsion. This is the reason why the CoP will nearly always be lateral to the STJ axis during relaxed bipedal standing if the individual is standing with their center of mass (CoM) balanced anterior to the ankle joint axis. It is at this position of balance that the GSAT complex must be exerting an ankle joint plantarflexion moment to keep the CoM balanced anterior to the ankle joint axis and also will be creating a STJ supination moment that keeps the CoP lateral to the STJ axis. OK Kevin, I'll leave that one there for now. Taking the nwb foot through its MTJ oblique axis range of motion was to assess the relative amounts of dorsiflexion/plantarflexion versus abduction/adduction. This had implications for variables incorporated into a device like is there more arch flattening (concentrate on arch height) or midfoot medial bulge (might use medial flare or flange). Then taking the MTJ long axis through its range of motion showed how much midfoot inversion / eversion was available which gave insight into what this meant at the distal end of the midfoot in regard to FF/RF relationship eg: FF Varus versus supinatus. I have purposely not mentioned stiffness in the above because I wouldn't usually think stiffness. When I assess range of motion, is that also directly assessing stiffness? ie: small ROM = incresed stiffness; large ROM =reduced stiffness. Just checking that I haven't made a quantum leap without the physics know-how behind me. Kevin has started a new thread: STJ Axis and CoP Position and Muscle Moments to follow up on some aspects of this thread that have drifted of the original topic. Just so I know that I'm on the same page as you, are you referring to the "forefoot stability test", which Craig mentioned at Boot Camp? For example, we ask the pt to rise up onto the MPJ's, we observe posteriorily and then determine whether they deviate medially, laterally (high gear/low gear) etc.